with a newer technology called flathoning – a process commonly known as clean lapping. Flathoning is a cleaner, faster process that meets or exceeds the precision requirements historically limited to flat lapping. Flat lapping typically involves a slurry of loose aluminum oxide, silicon carbide, or other abrasive grains flowed across a rotating lap plate in either a water-based, synthetic or oil-based vehicle. 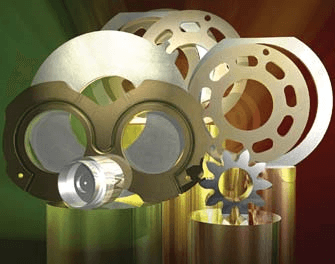 This creates an abrasive film between the plates and the work-piece that enables stock removal from a single side, or both sides simultaneously, of regular or irregular shapes, without distortion from clamping or heat. The loose abrasives leave a dirty residue that must be rinsed clean after lapping. Over the years, controlling this loose abrasive process often relied upon the black magic of experienced operators. Flathoning dispels the black magic of yesterday. In fact, the majority of new machines entering the marketplace — particularly double-sided equipment — are flathoning units. Using bonded CBN or diamond particle in a fixed medium that replaces the loose abrasive process, flathoning achieves the same or greater precision with fixed abrasives than those accomplished through conventional flat lapping. Consider a tungsten carbide insert application. These inserts are often ground first on a Blanchard grinder with special fixtures holding up to, as an example, 200 units. After grinding one side, the inserts are un-fixtured, turned over, re-fixtured and ground on the other side. Throughput averages between 200-300 parts an hour. And removing the typical 0.020- to 0.025 inches of stock from a tungsten carbide insert with a flat lapping machine usually requires two to three hours because the material is so hard. But flathoning machines are unlike conventional fixed abrasive grinders used for sizing components. Clean lapping far exceeds the 0.0002- to 0.0003-inch tolerances of conventional grinders, and takes that 0.025-in of carbide stock off both sides simultaneously within 4 to 5 minutes. On a smaller machine, 100 to 150 inserts can be finished within 7 to 8 minutes, a rate of 700 to 1,000 parts per hour. Speed is a primary reason double-sided flathoning is replacing conventional grinding and flat lapping in numerous applications across many industries. One flathoning machine can often replace three to four grinders and their associated labor and overhead, or reduce high tolerance lapping cycles to just a few minutes. Stock removal rates are multiples of 10-20 faster than lapping, and certain tolerances being achieved now exceed those being lapped. Flathoning can hold thickness variations within 0.6 µm (0.000024 inch) in a single batch, with overall batch-to-batch tolerances of ±1 µm (±0.000040 inch) on a 24-hour basis. That capability comes from using a fixed, bonded material (as opposed to a loose material) — with the added ability of removing stock faster. This opens opportunities for lights-out automation — depending upon the tolerance level being met. For example, if those tungsten carbide inserts hold 0.0002 inch as the lower tolerance limit, they are superb for running unattended. But running components found in computer disc drives that requires a 0.5- to 0.6-µm variation per load, ±1 µm before CpK — that’s too tight to run without some level of monitoring. Most significant is the fact that flathoning is a clean process where the user often realizes as many down-line savings in rinsing as he does in actual part processing. For example, the typical part soils when flat lapped. The loose-grit residue left afterwards must be removed through multi-bath ultrasonic cleaning. At the end of the bath, some sort of protective oil coat may be applied to the part prior to packaging and delivery to the end user. But with flathoning, some applications allow the oil-coated parts to feed directly off the machine into packaging for shipment. Even when oil must be removed, only the chemical itself is removed — not the more difficult veins of aluminum oxide or silicon carbide protruding from a traditional flat-lapped part. This is true with water based applications as well. Fixed abrasives require much higher rotating speed on the table and also generate higher pressure, meaning a market for traditional double-sided loose abrasive applications will probably always exist. When lapping a very thin semiconductor component, for example, the pressures and speeds generated by flathoning may too intense. Double-sided processes require the use of a webbed carrier device to convey the workpiece. 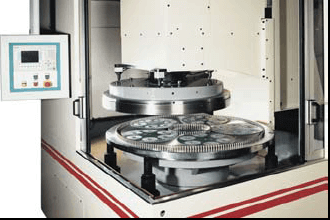 Though the machines themselves can work very with thin parts, the work holder technology cannot withstand the rigors of a more intense fixed abrasive operation when components fall below 0.010 inch. For this reason, thin applications that require extremely tight tolerances will probably always use some form of loose abrasive. • Parts exceed the 0.0002-inch tolerance threshold. • Retooling a variety of jobs is necessary. Flathoning, with the proper wheels on the machine, takes less than five minutes to retool, compared to several hours for traditional grinding machines. • Components have uneven surface areas between the top and bottom. These are more difficult to run through a double-disc grinder. Flathoning can vary the speed and platen direction to remove different amounts of stock from the top and the bottom. It is ideal for working odd-shaped body components, such as those used in fuel injection. 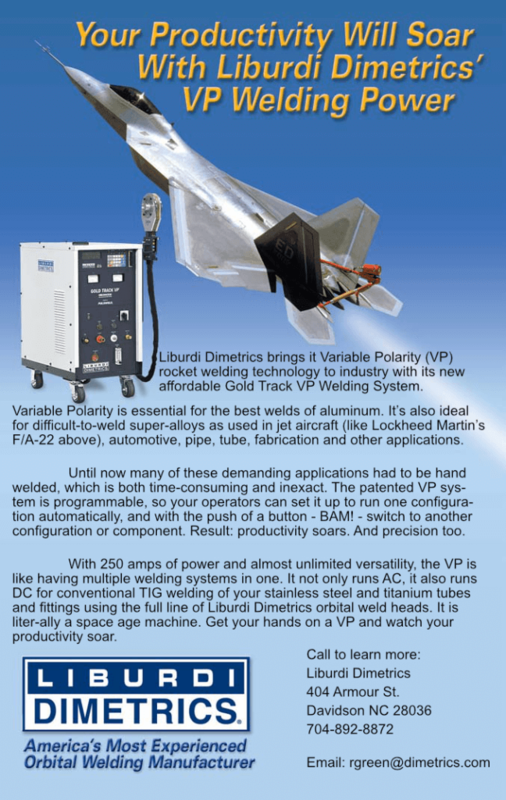 • Lapping tolerances are required, but higher throughput is necessary. • Working nonferrous or nonmagnetic materials. Flathoning is ideal because the workholding uses a simple webbed carrier, not a special magnetic device. With flathoning, the flatness and other tolerances are therefore not negatively affected by the magnetic field generated through conventional grinding. Because the technology is relatively new, the equipment is semi-mature, and the engineering knowledge is still evolving, the OEM and user must work together closely up front to develop each specific process application. A user may invest $35,000 (on a medium sized machine) up front for a set of diamond or CBN fixed-abrasive wheels designed to last up to 18 months or longer that uses specified honing oils, process feeds, speeds, pressures, etc. But the long term operating costs are less than loose abrasive processes, and the productivity gained through flathoning makes its ROI very attractive. Probably more than 50 percent of the investments currently being made in flathoning are for productivity improvement. Net component cost is the key consideration. Cleaner quality. Cleaner speed. Cleaner returns. These are the reasons why flathoning is taking center stage as the most effective way to perform high-precision flat work. Does it make sense for your operation? Carbides, fineblanked parts, fuel injection components, thin-metal induction-molded parts, powdered metals, ceramics, plastics and certain optics are some of the materials converting to flathoning.